Fans of atmospheric Funeral Doom should give this promising debut by Tempestuous Fall a listen. The Australian Doom Metal scene has been attracting more and more attention over the last few years with a growing number of excellent releases. Dis Pater, a man with more of a Black Metal background (being the creator of both Midnight Odyssey and The Crevices Below), is now delivering his first attempt at Doom with a new solo project called Tempestuous Fall. Is there a place for him in the scene of his home country, will he perhaps help enhancing its prestige even more? 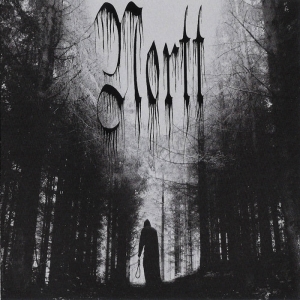 Stylistically, this album combines the majestic elements of predominantly Finnish Funeral Doom acts such as Shape of Despair and Colosseum with darker, more oppressive moments where Nortt might serve as the extreme pole of reference. The two extremes are outbalanced very well so as to include the strong sides of both while avoiding their typical weaknesses for the most part. This alone deserves some respect: For one thing, Tempestuous Fall sits comfortably between the established formulae without lacking substance, and for another thing it remains almost strictly within the confines of the genre without sounding uninspired. Dis Pater’s approach lays a strong emphasis on atmosphere which is primarily achieved through his excellent use of synths. It is supported by the production which conveys a sense of vastness, but also delivers just as much heaviness as required, all of this with a raw and cloudy feel which sets it apart from the sometimes over-polished ‘Firebox sound’. Fortunately, the programmed drums have enough punch and bass to them so that they do not undermine the otherwise powerful sound (as is often the case in the genre). The opening track “Old & Grey” is a bit of an exception since it is surprisingly catchy with clean vocals figuring much more prominently than elsewhere. There is even a chorus which adds an epic dimension and creates a stronger sense of individualism which could be built upon on future releases. It is a shame that the other tracks do not exploit this potential of the clean vocals but rely on monotonous and fairly nondescript chants instead. But this flaw is kept at bay by the strong growls which are predominant most of the time, as always in Funeral Doom. The aforementioned first track features additional guest growls which do not differ much from Dis Pater’s and therefore seem dispensable. Speaking of downsides, some parts of the compositions are hardly essential and drag on a bit, especially on “A Cold Stale Goodbye” and “Beneath a Stone Grave”. Luckily, the latter song makes up for that with a recurrent riff whose utterly sinister feel almost reminds one of Esoteric. The hauntingly beautiful interplay between guitar and violin towards the end of the song is another good reason not to skip it. Further into the album, there are more such instances of guitar/violin interplay, all of which are both distinctive and effective, testifying to the songwriting talent of the artist. 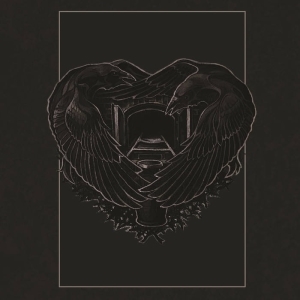 These parts sound like a Funeral Doom version of My Dying Bride in their heyday circa 1992–1996, and while a reference to the Peaceville classics is mostly taken to criticise a band’s lack of originality these days, it is meant as a favourable argument in this case: The Stars Would Not Awake You elegantly bridges the gap between modern Funeral Doom and its origins in the Death Doom movement of the early 90s. It acknowledges the developments that have taken place over the past two decades without losing sight of the origins. Past and present are palpable at the same time with the MDB reminiscence shining through the cloudy soundscapes like a mirage of glorious times with a promise of another golden era to come. 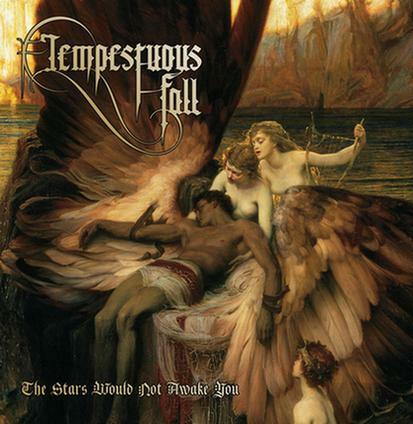 And it may in fact come over the world of Doom with Australia as one of its home bases: with some more attention paid to the songwriting in order to boil the musical vision down to its essentials and avoid redundancy, Tempestuous Fall might someday deliver an excellent sophomore. 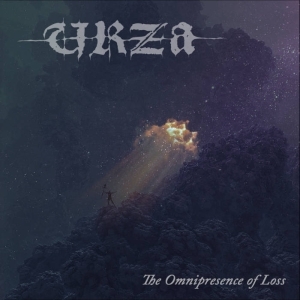 The potential is there, as this debut album illustrates, and there is already more than enough to be discovered here to wholeheartedly recommend it to any lover of Funeral Doom. On top of it all, the fantastic layout and careful choice of paintings (instead of the tiresome Photoshop imagery which dominates the market) reach a level of professionalism as well as artistic integrity which many other bands can only dream of. Visit the Tempestuous Fall bandpage.